According to Credit.com, the typical person will likely pay $US279,000 of interest over the course of a lifetime. When you borrow money, whether from a mortgage lender or a credit card, you pay for that privilege, and those payments are called “interest.” How much you pay, however, depends on your credit score. 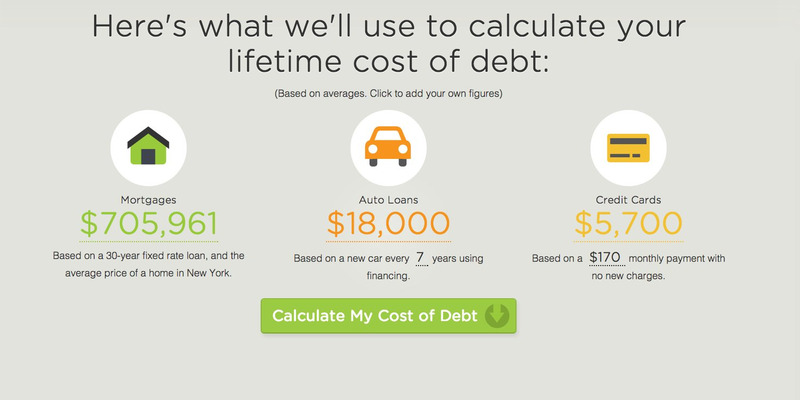 Credit.com created a calculator for people to figure out just how much their loans and lines of credit may cost them over the course of a lifetime (40 years). We decided to try it out for a 35-year old man living in New York. 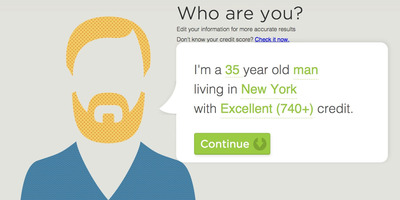 Step 1: Enter your age, gender, state of residence, and credit score. Step 2: Enter your mortgage payment, auto loans, and credit card payments. 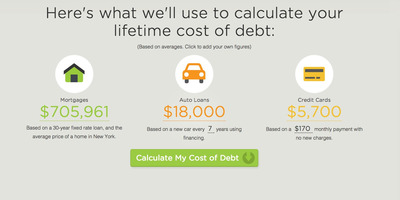 Credit.com provides averages for these payments, which we used for our calculations. You can choose to keep their averages or enter your own numbers for a better estimate. And you’re done. 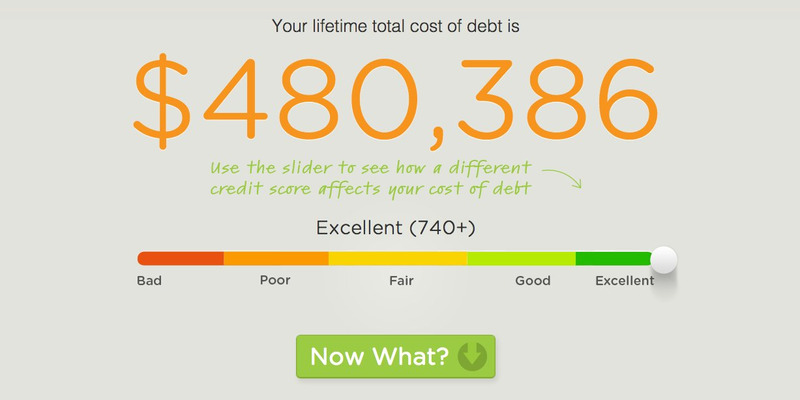 You can move the slider to see what you would pay if your credit score was higher or lower. We also tried the calculation as a woman while keeping everything else the same. While it isn’t clear why, the worse the credit score, the greater the difference in the amount of interest paid by men and women. For example, using an excellent credit score, women paid only $US1,000 more. 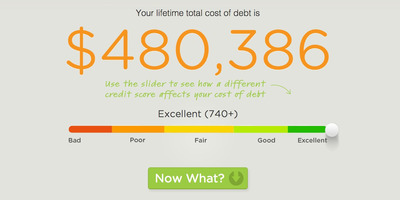 However, using a bad credit score, the difference was $US5,000.